Homemade conversation hearts are easy to make and taste so much better than the store-bought Valentine’s Day treat. And bonus: You can make your own candy messages. ‘Tis the season for conversation heart madness. 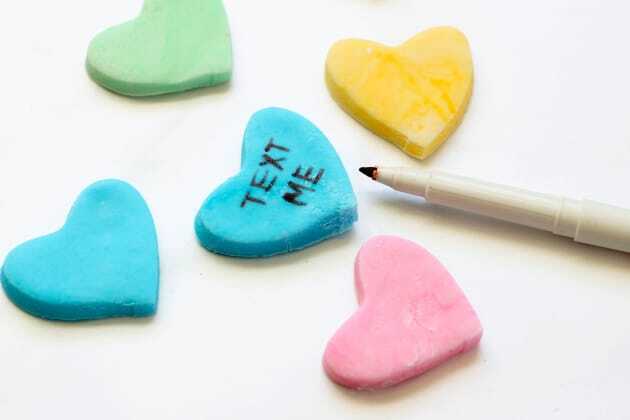 Every Valentine’s Day, we’re bombarded by the chalky, sugary treats with sweet messages. Well, chalky no more. 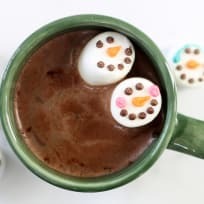 You can easily make your own homemade conversation hearts that taste delicious and even better than the store-bought version. And, you can personalize your hearts with your favorite flavors and with your own messages (love or like or hate, I won’t judge). 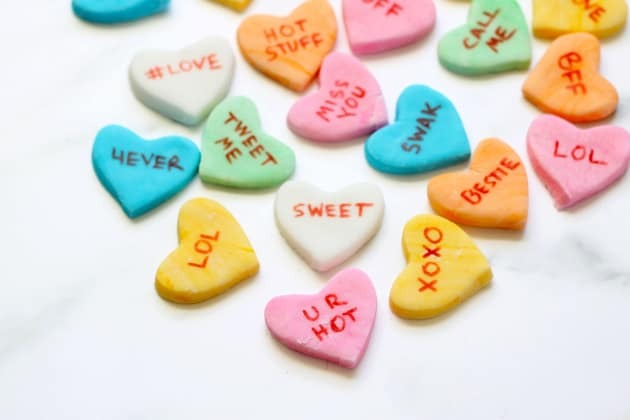 Ever wonder how the first conversation hearts came to be? Back in 1847, a Boston pharmacist, Oliver Chase, invented a machine to quickly make lozenges by flattening dough and cutting out wafers. He left the pharmacy business to start the company that would eventually become the New England Confectionary Company (NECCO). 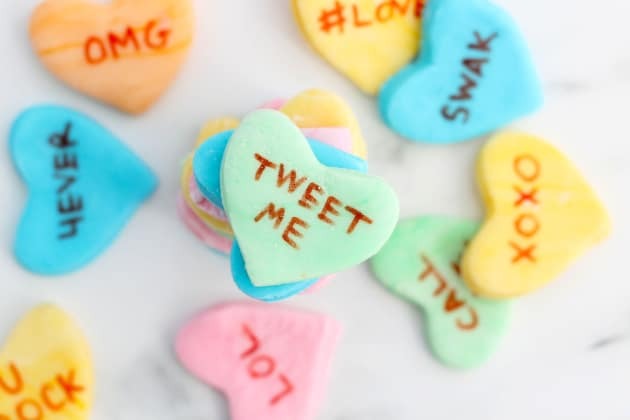 In 1866, Oliver’s brother, Daniel, inspired by the rise in popularity of Valentine’s Day cards, devised a way to print messages on the candy with red vegetable dye during the cutting process. These would become the Sweethearts candy we know and love. In 1902, the heart shape was first available. And the company is still adding new phrases as the years pass. #LOVE and WICKED COOL, TWEET and TXT ME are more recent additions. If you really love conversation hearts, check out these conversation heart cookie pops. 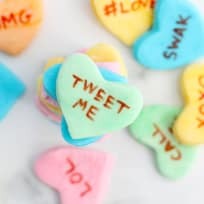 Or try these stamped conversation heart cookies. The recipe here is very simple. You only need three basic ingredients: Unflavored gelatin, water, and confectioner’s sugar. A pinch of salt helps to balance the sweetness. 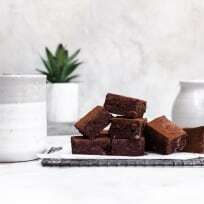 Optional flavoring or extracts add a little something to the candy. 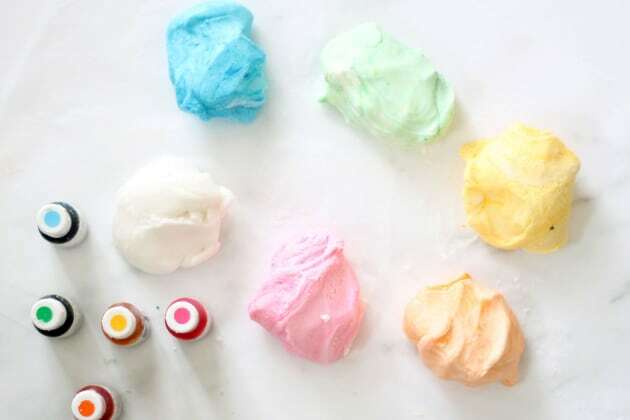 Either flavor the entire batch or divide the dough and flavor each color differently. Here, I flavored the entire batch with orange extract (so good, I recommend it). 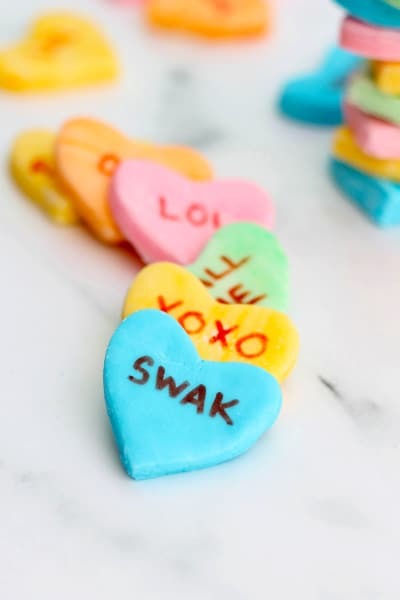 The hearts will need to dry at least overnight before you write your messages, so be sure to allow that time before handing out these awesome treats. 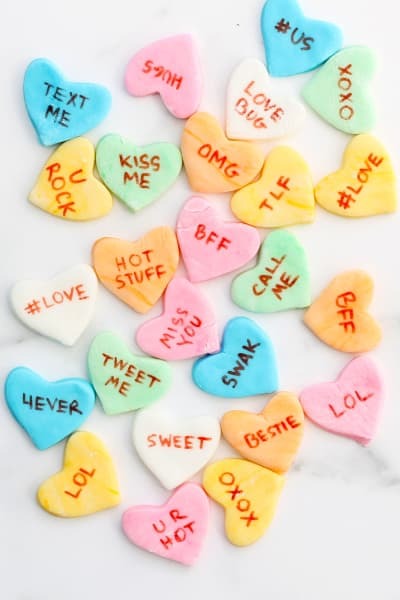 These candy hearts are so delicious, I just had to write some messages to myself to justify how many I gobbled up. 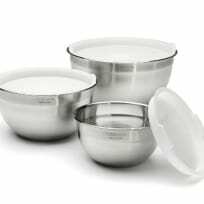 Pour the water in a microwave-safe bowl. Sprinkle the gelatin over the cold water and let sit for 5 minutes. Microwave the water and gelatin in 15 second intervals until fully dissolved (for me, this took three intervals). 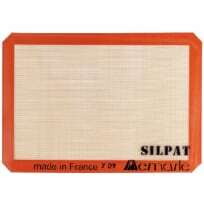 Pour the water and gelatin mixture in the bowl of a standing mixer fitted with the flat beater. 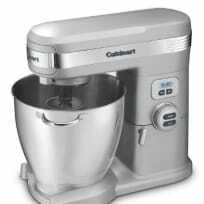 On low, mix in the confectioner’s sugar one cup at a time until a dough forms. 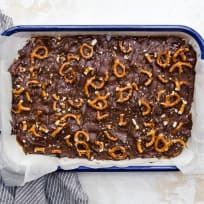 Add a dash of flavoring and/or extract of your choice, if desired, to the entire batch, or add different flavorings and extracts to divided dough. Divide the dough and tint desired colors by kneading one to two drops of food coloring into each section of dough. 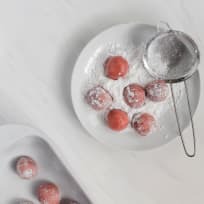 On a surface dusted with confectioner’s sugar, roll the dough out about 3/8-inch thick. 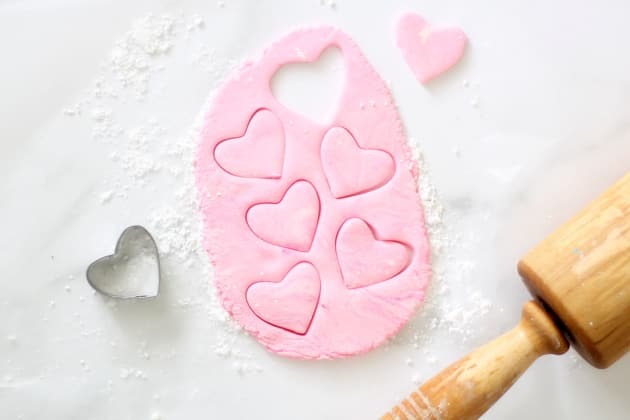 Cut out hearts and place on a baking tray lined with parchment or wax paper. 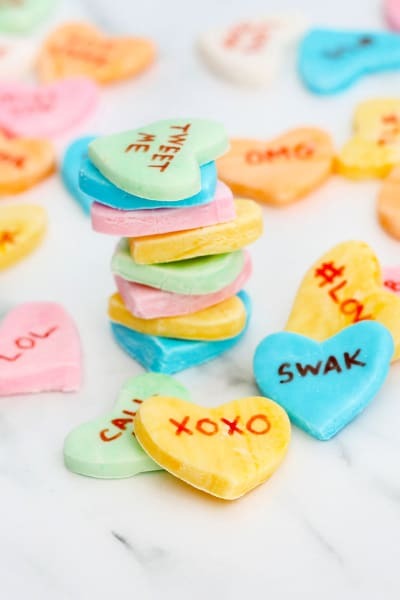 Let the hearts dry one to two days before adding your messages with the edible writers.